Home / Blog / What Are Buy Here Pay Here Dealerships? People often wonder what buy here pay here dealerships are and how they’re different from traditional car lots. The answer is pretty straightforward. Buy here pay here car lots (BHPH) literally mean just that. BHPH dealers offer on-site financing. They sell and finance the cars on the lot. At a traditional car dealership, the car is sold at the dealership, but financed through an auto lender. There are a few other differences between a BHPH dealership and a traditional one. Buy here pay here dealerships work with people who have very little credit, no credit, have a recent history of poor credit or going through bankruptcy. They offer an opportunity for people who may have a difficult time finding a loan through an auto lender. However, just like traditional dealerships, BHPH dealerships offer great deals on certified pre-owned vehicles for people with good credit, too. Buy here pay here dealerships, like all car dealerships, must abide by the law. The difference is, BHPH lots have to abide by stricter laws since they are also effectively a finance company. BHPH dealerships must follow the Truth in Lending Act (TILA), which requires financiers to disclose the final sale price, the total amount financed, as well as any other important information for the consumer relating to the financing. Other laws and regulations BHPH are subject to are the Fair & Accurate Credit Transaction Act, State Usury laws, and the Fair Debt Collections Practices Act. The “buy here pay here” financing process is simple, too. When you buy a car from a BHPH dealer, the entire transaction takes place on the premises. Buyers arrange everything at the dealership. The car is bought and financed there. The loan payments are set up for weekly, semi-monthly, or monthly payment plan. Buyers can also match up car payment dates with their job’s payday to ensure payments are made on time to improve your credit score. Interest rates at BHPH are comparable to the interest rates at traditional car dealerships. Many BHPH lots offer interest rates that begin at 9% to 10%, and range in of 15% to 20% rate. 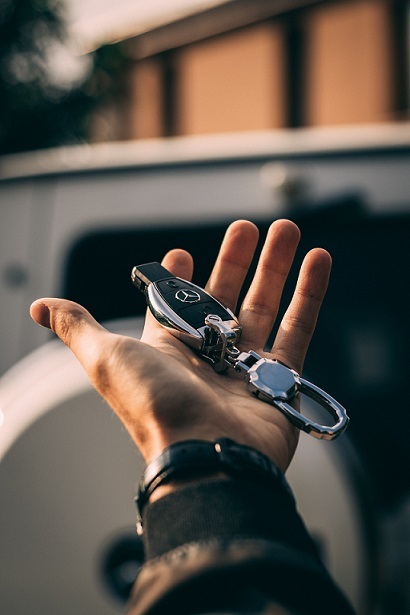 A great way to ease any concerns or reservations about the car you may be interested in is by using consumer-friendly companies before a car is purchased. BHPH dealerships offer access to free CarFax reports for vehicles, which allows customers to run vehicle history reports to make sure there are no potential hidden problems and even provide any record of accidents. Like any dealership, BHPH pre-owned cars have undergone a full inspection and any necessary repairs before offering it for sale. Used cars come with warranties, too. No dealer is going to intentionally sell a flawed car and risk losing a hard-earned reputation for quality customer service. It is a worry-free limited warranty with 12 month/12,000 mile vehicle coverage. It comes with one-year free oil changes, Total Loss Protection that includes your vehicle is equipped with an anti-theft device. Drive Now has redefined the BHPH buying experience for customers. Our lot is filled with a wide selection of affordable used cars featuring some of the most popular makes and models. Drive Now distinguishes itself from other dealerships by offering a simple loan approval process that allows buyers no matter their credit rating or history the opportunity to shop with confidence when purchasing a used car. Contact Drive Now today to learn more about the services we offer!